Here’s a meal that you don’t have to spend any time actually cooking. How does that sound? Sounds pretty glorious to me! 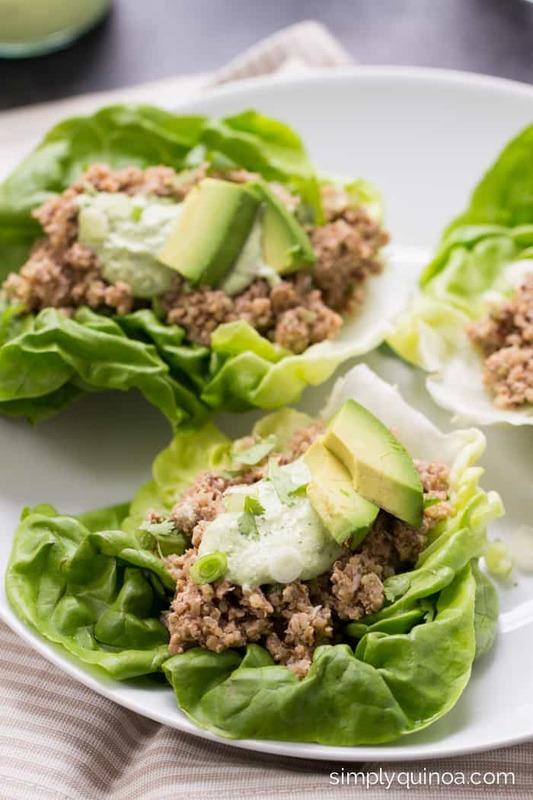 These mushroom + quinoa lettuce wraps are just that. A healthy and delicious meal that is made without touching your stove (or oven) once! It literally comes together in under 10 minutes. 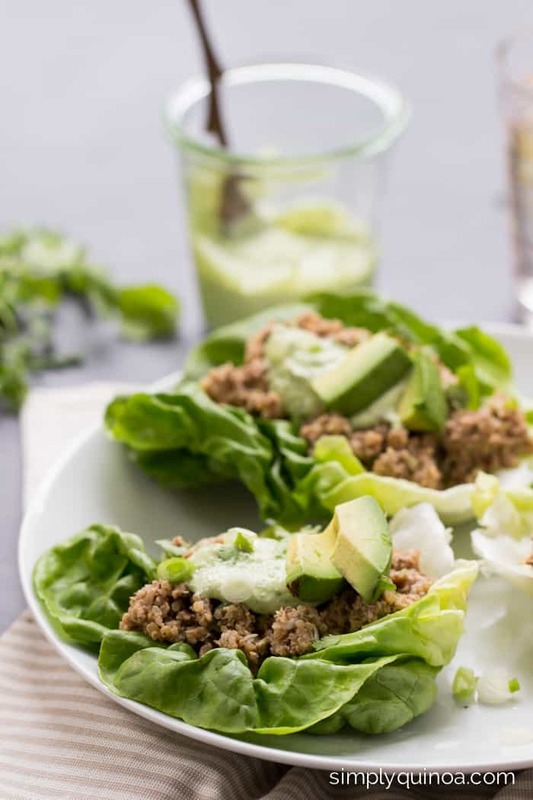 Lettuce wraps are one of my favorite light meals. They’re crisp, cool and refreshing and is a fun alternative to getting your greens in. 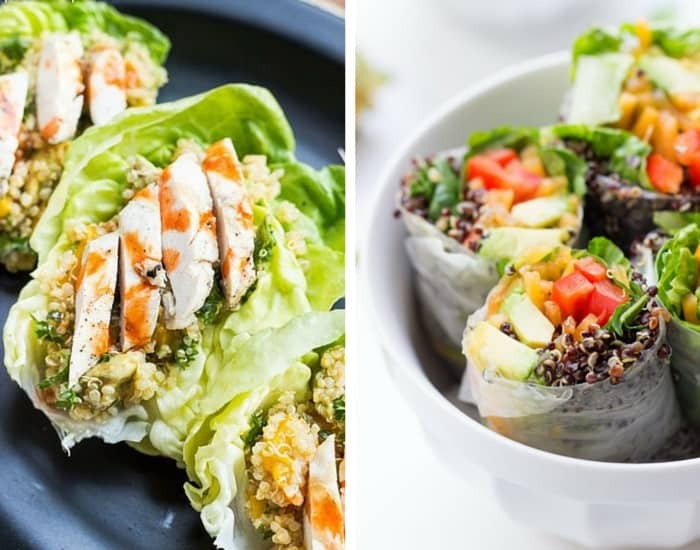 It’s basically like eating a salad, just in wrap form instead. 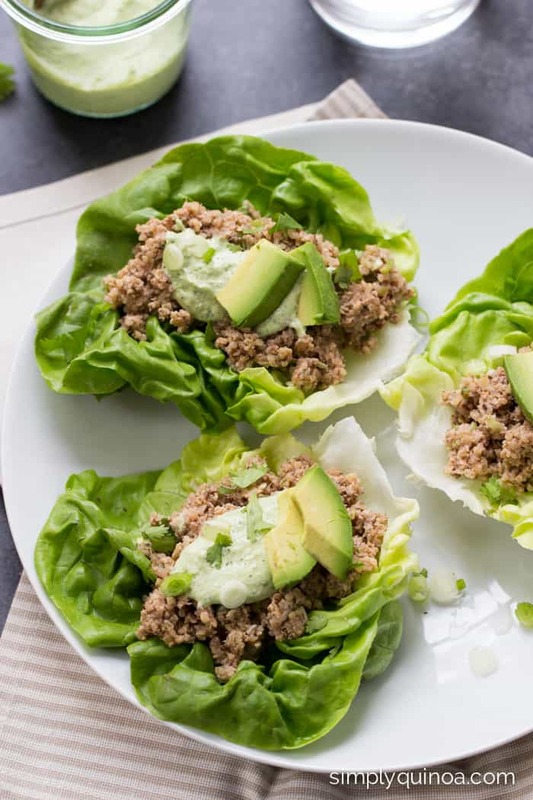 And plus, whether you’re watching your weight or just trying to eat a little more clean, lettuce wraps are the way to go. You’ll save yourself from having to fill up on tortillas or wraps! As I’m sure you’ve noticed, I’ve been posting way more plant-based recipes on the blog – which I’m planning to talk all about in an upcoming post – but I know that many of you still enjoy meat, so when I’m coming up with a recipe, my goal is to not only have it taste amazing, but I also want you to walk away feeling satisfied. And truth be told…I think that’s sometimes a little difficult for folks who enjoy having animal proteins with their meals. So long story short, this recipe does just that! It’s made up primarily of veggies (and nuts), but it has a wonderful meat-like texture that I know will leave your tummy feeling happy and full. Mushrooms are the true star of this dish, in particular shiitake mushrooms. Shiitake mushrooms are really interesting because although they are light, they are also quite hearty too. And they make for a really great meat replacement. 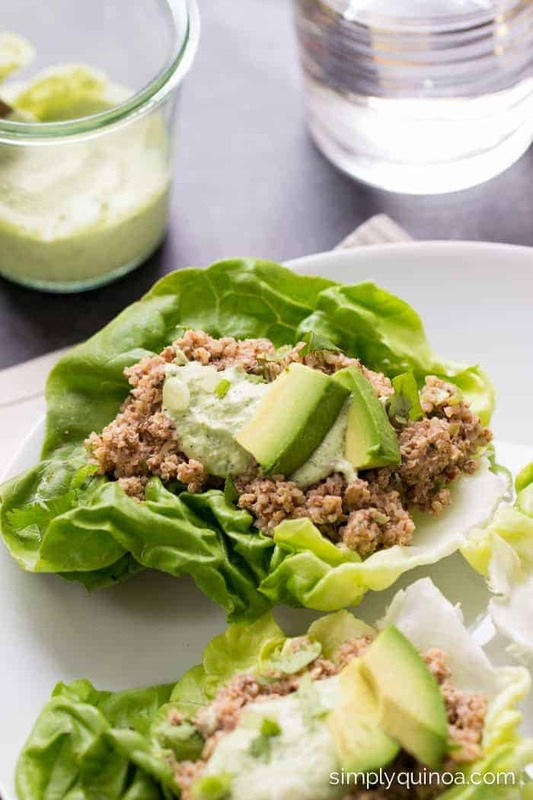 The filling for these quinoa lettuce wraps is a simple blend of shiitake mushrooms, walnuts and quinoa, and then mixed together with a zesty lime-miso dressing. 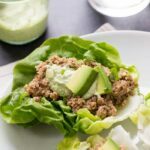 Once you’ve got the filling all blended up, you just add them to your lettuce cups and smother them in a creamy cashew-lime sauce and some chopped avocado. I also made the whole thing in another Snapchat video! This one is a bit more involved than my quinoa tabbouleh recipe, but it still shows how quick and easy this recipe is. side note: I'd love to hear what you think of these videos…should I keep doing them? Leave me a comment and let me know what you think! Hope you love these wraps as much as I do! 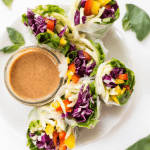 They're such an easy and light meal, and you can even get creative with them by adding your own toppings or trying a different dressing inside. 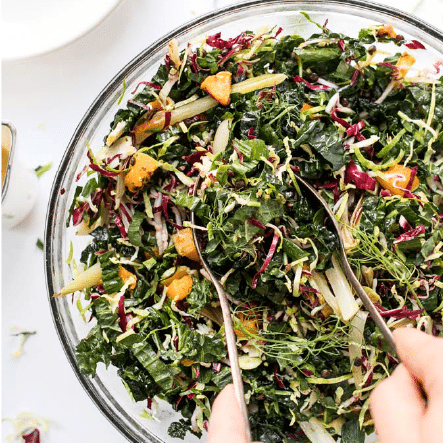 Oh and if you have extra filling, use it on top of a salad – it's amazing! A healthy and delicious meal that is made without touching your stove (or oven) once! It literally comes together in under 10 minutes. Add the mushrooms, walnuts and quinoa into the bowl of a food processor. Pulse until chopped and crumbly. In a small bowl, whisk together miso paste, chili oil, lime juice and maple syrup. Add this to the food processor, along with the jalapeño and green onion. Pulse until mixture starts to come together. 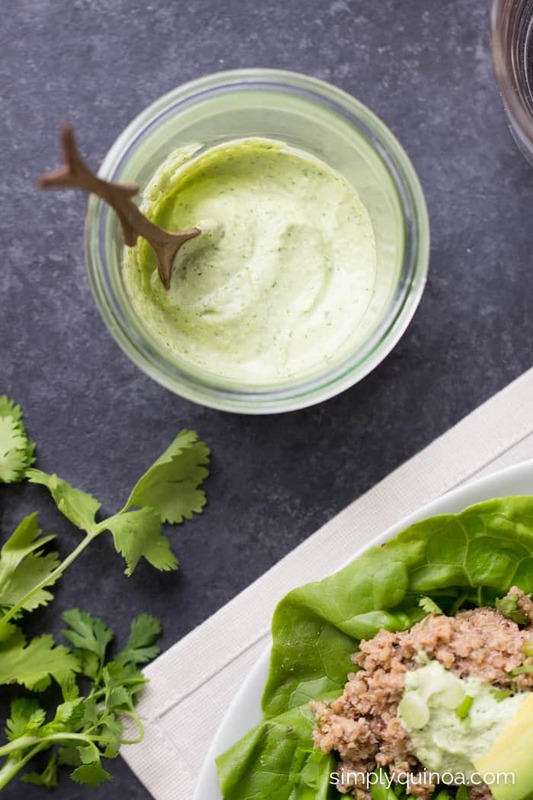 Prepare the cashew sauce by adding all the ingredients to a high powered blender (the BlendTec Twister Jar works REALLY well here!). * Mix on high until smooth and creamy. 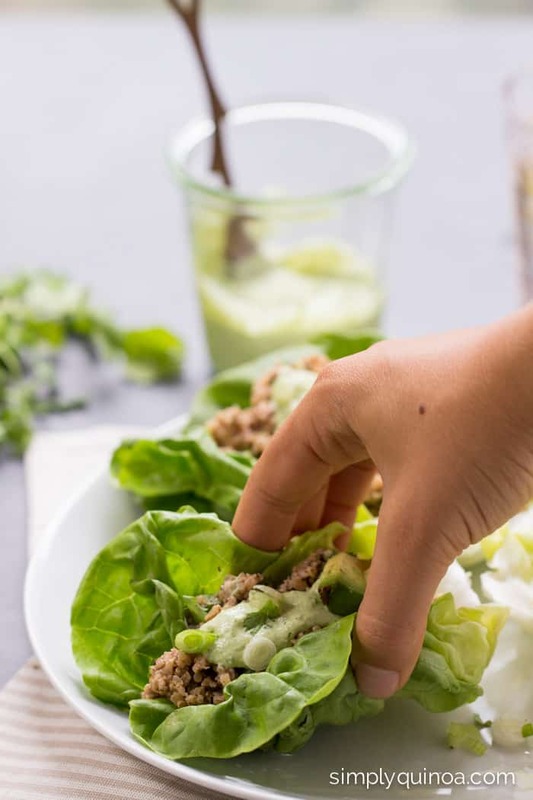 Assemble the wraps by arranging lettuce leaves on a serving dish, filling each with 2 - 4 tablespoons of mixture (depending on the size). 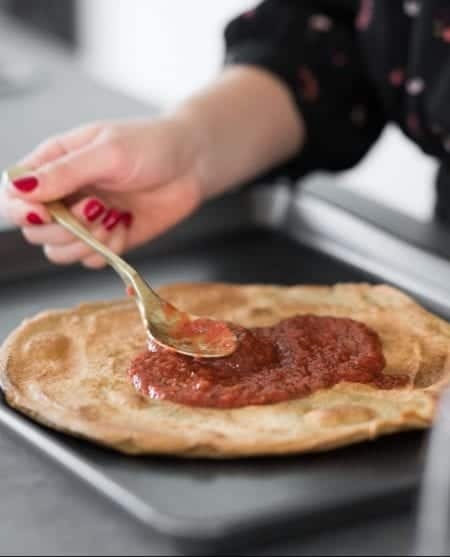 Drizzle 2 teaspoons of sauce over each wrap and garnish with desired toppings. Enjoy immediately! Store leftover filling and sauce in separate, airtight containers for up to four days (dressing can go longer). *If you don't have a Twister Jar or high powered blender, you might want to soak you cashews for a few hours. Alternatively you can also soak them in boiling water for about 30 minutes - this will help them blend more easily. Really like the video! Could you make some for the sauces? I always get sauces all wrong for some reason. 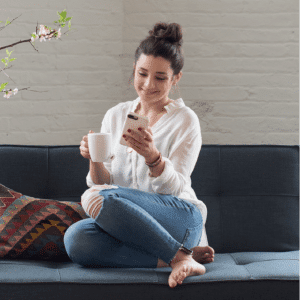 I lobe the videos…. Helps me to see what it all looks like as you go… Keep on videoing!!! Have you tried “pulsing” the filling in the Blend Tec? It doesn’t seem like that’d be easy to do, but maybe possible. I don’t have a food processor and haven’t had much luck with them, so I’m hesitant to buy one. Can you think of another way to blend the filling ingredients?